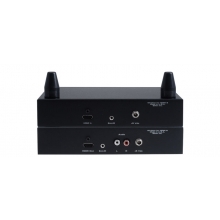 The Avocent® Emerge EWMS1000 wireless media streamer broadcasts high quality, full motion, streaming video from a source computer to multiple display devices up to 1000 feet without wires. The Emerge EWMS1000 device simplifies video extension and reduces installation costs by eliminating the need for miles of cabling and expensive PCs at each destination point. 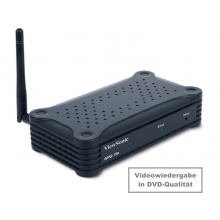 Wireless Video - Outputs 30 frames per second full motion video (MPEG2 D1). Up to WXGA compatible. Multipoint and Point-to-Point Transmission - A single transmitter automatically trains the receivers detected with a push of a button. 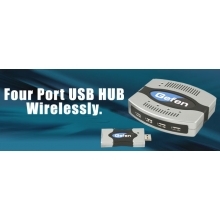 Plug and Play - Quick, simple installation. No software to download or controls required. Transmits 250 feet through walls and up to 1000 feet line-of-sight. 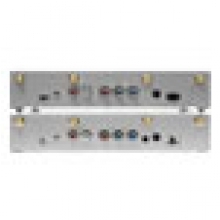 Multiple Input/Output Formats - Built-in support for multiple input/output formats including Component, S-Video, Composite Video, RGB computer video and stereo audio. 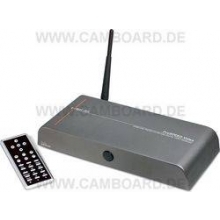 Auto Input/Output Detection - The wireless transmitter switches to active input devices and automatically converts and routes video and audio signals to connected displays. Interchangeable Antennas - Omni-directional (standard) and long distance directional antennas (optional) are available to suit the installation. Built-in Signal Strength Monitor - Identifies performance-optimized mounting location automatically without special metering equipment. 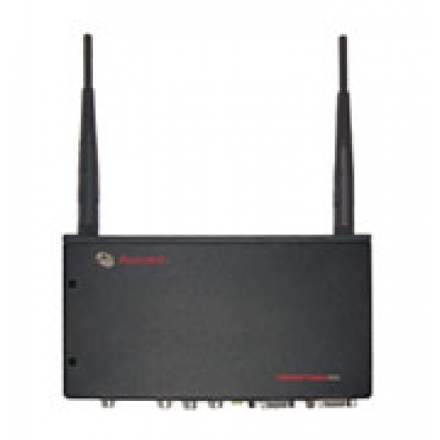 802.11a Radio Standard - Operates outside of the standard WLAN frequencies for higher QoS, interference-free connectivity. Proprietary Communications Protocol - Proprietary communication protocol offers security and high bandwidth for challenging installations. 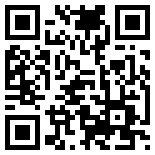 AES Encryption - Built-in Advanced Encryption Standard (AES) for secure wireless connectivity. Multi-Display RS-232 Interface - Setup, display controls and monitoring the health of up to 8 attached display devices from a single Emerge EWMS1000 transmitter.